Trotec was awarded the GreenBuilding Certificate from the European Commission at an ÖNBG (Austrian Society for Sustainable Building) event. Trotec received this prestigious award for the new World Headquarters building, which opened in October 2013, in Marchtrenk, Austria. The building is categorized as a large-scale solar plant because the majority of the required energy is obtained from the sun. The solar energy is stored by means of ground storage, a buffer, and a fire water tank. The total power requirement is produced by the in-house photovoltaic plant. Another source of energy is the well water, which, according to the season, it is used for heating or cooling. In 2005 the European Commission launched the GreenBuilding Programme (GBP). 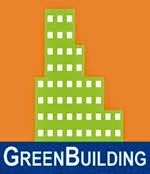 GreenBuilding is a voluntary program aimed at improving the energy efficiency of non-residential buildings in Europe. The program encourages owners of non-residential buildings to take cost-effective measures by enhancing the energy efficiency of their building. Currently, 958 buildings are certified as GreenBuildings.